Recently I came back from a trip to Disneyland. 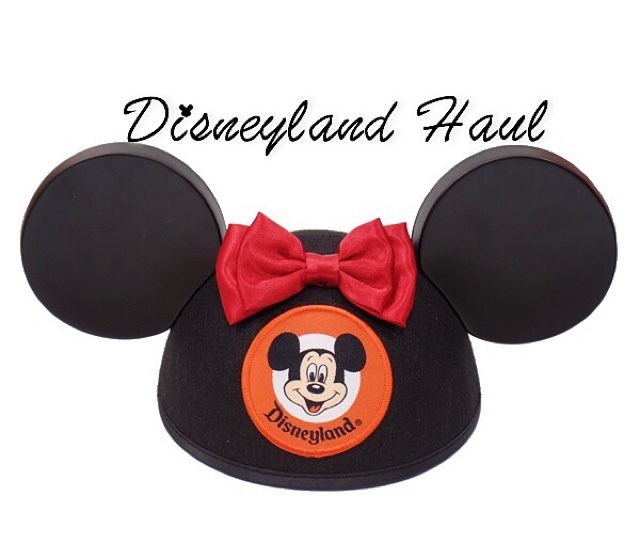 There's no surprise that after hundreds of trips to Disneyland I still manage to find things I want to buy. 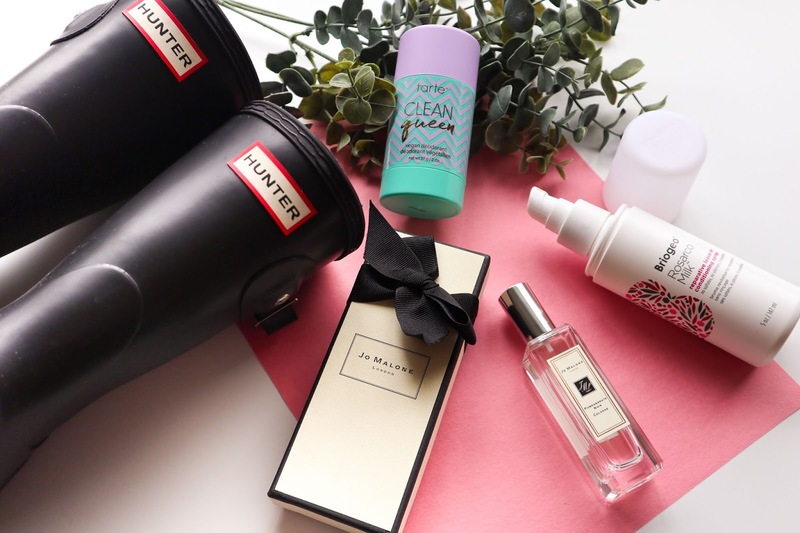 I was really trying to limit myself on what I bought and today I wanted to share the things I purchased. Before we left for Disneyland I had decided I wanted to get my own Mikey hat with my name embroidered in the back as you can see above. You can find the front of the hat in the very beginning of this post. Back on mine and Rudy's first trip to Disneyland we each got one of these hats, he got this same Mickey hat and I got a Minnie one that had a red polka dotted bow on top. 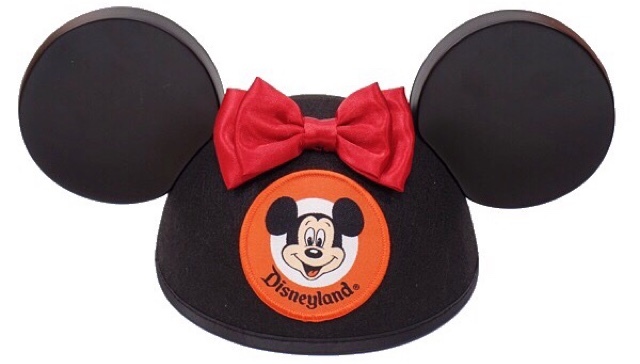 I recently realized that I no longer can find mine so I decided I wanted to get one and this time get the original Mickey Mouseketeer hat. 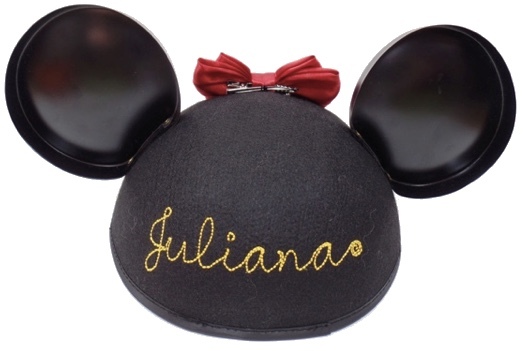 To make the hat more personalized I added my own red bow to it. I am obsessed with how cute this hat looks now with the bow it was just the perfect famine touch it needed. 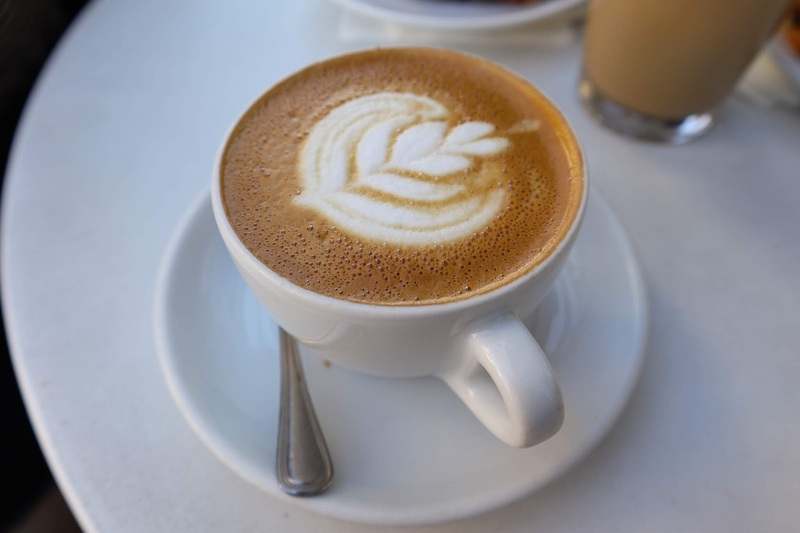 I also absolutely love the way my name is written in the back. I am looking forward to my next trip to Disneyland so I can wear it again. 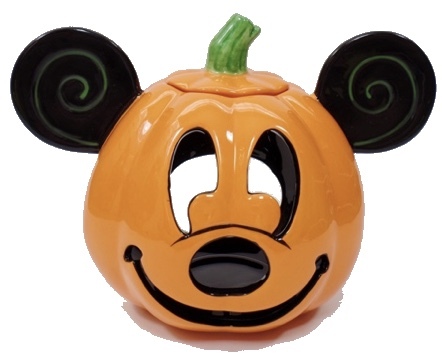 Rudy convinced me to finally purchase this Pumpkin Mickey Candle Holder that I've been wanting to buy for a couple of years now. I always end up buying a lot of things when I'm at Disneyland and because of that I would always push off buying this candle holder. I am so happy that it is finally mine. I already have it displayed in my room and I can't wait to start lighting it up more once we're closer to October! This candle holder is the perfect size for a mini candle and contains a removable lid for when burning your candle. Also on the back there is an opening to insert your candle along with Happy Halloween written above. Whats a Disney trip without picking up some pins?! My pin collection aka obsession has definitely been growing so I knew it was a must to pick up a few. I only purchased two during this trip which are the two you see on the right side. The pin on the left was released back in July and it is one of the Alice in Wonderland 65th Anniversary pins which my friend Elizabeth who works at Disneyland picked up for me before they sold out. 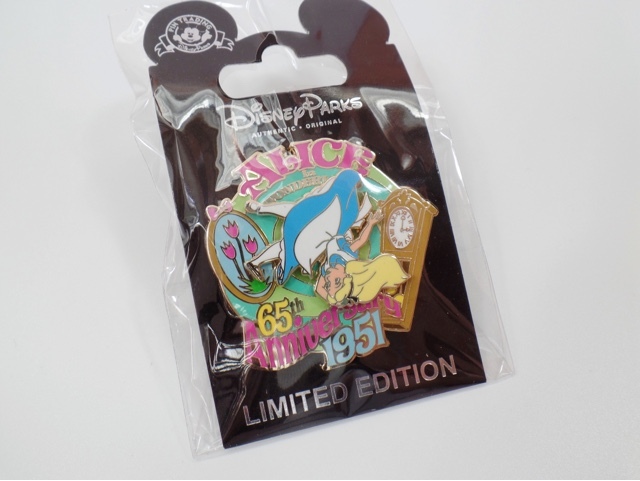 She had already picked up a few other pins from the 65th anniversary and had already shipped them out to me. 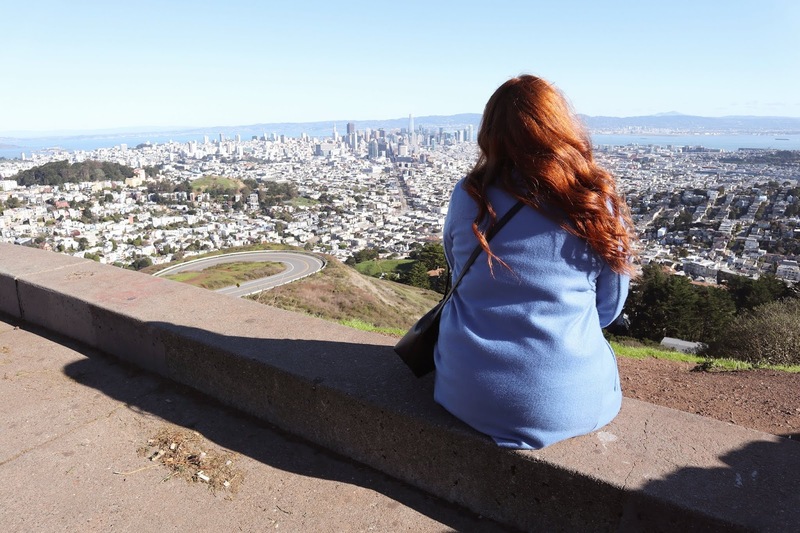 I had asked her to keep it with her until I was in town since I was going to be hanging out with her anyway and that would save her the hassle of shipping it out. This pin is so beautiful and I love how detailed it is. It's a long pin with Alice, Mad Hatter, the March Hare and even the White Rabbit at a mad tea party. 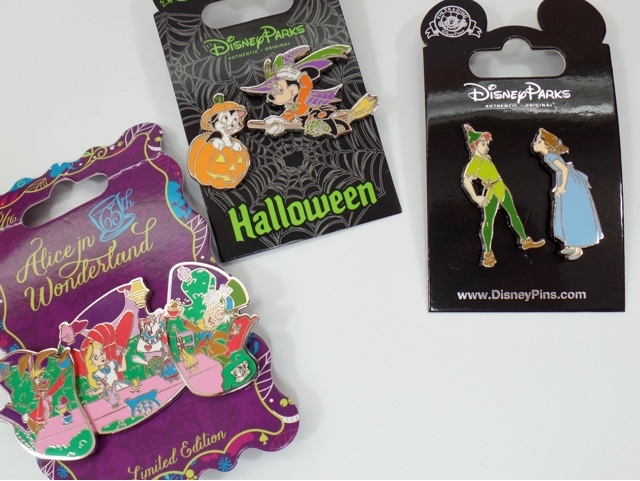 I was beyond excited when I noticed Disneyland had some Halloween pins out already. They had quite a few that I wanted but I chose to only take one home this trip and I went with the two piece pin set of Minnie and Figaro. 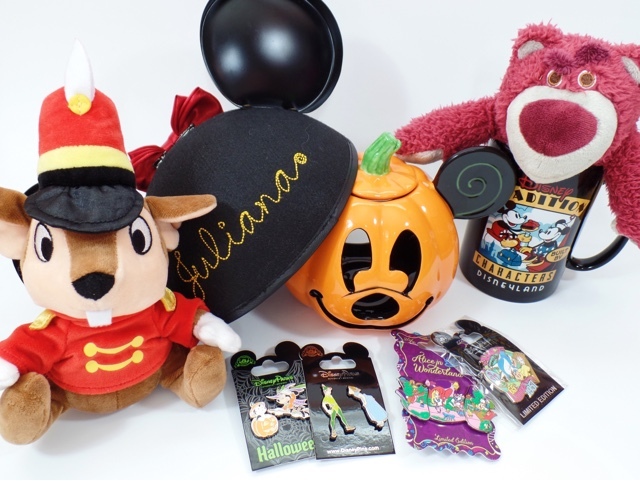 You can see Minnie flying a broom stick dressed as a witch and cute little Figaro inside of a pumpkin. I love how adorable Figaro looks inside the pumpkin and I can't wait to wear him once we get a little closer to Halloween. Lastly I purchased a pin set that I had wanted for a while now and it is the Peter Pan and Wendy pin. Peter Pan and Wendy are one of my favorite Disney characters and I really like this pin because Wendy is trying to give Peter a 'kiss' and you can see by his face he is not about that haha. I wanted this pin set because I have a shadow box that I am adding tons of Disney pins inside and I definitely wanted to add those two characters to it. I can't wait to share my shadow box in the future once it is completed. 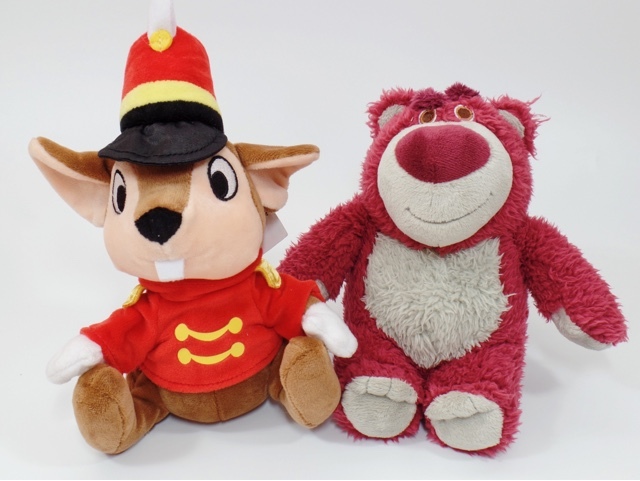 On our last day in Anaheim my friend Elizabeth took Rudy and myself to Company D - Team Center which is a Cast Member exclusive Disney store. We were both very excited for this and to see what merchandise the had. 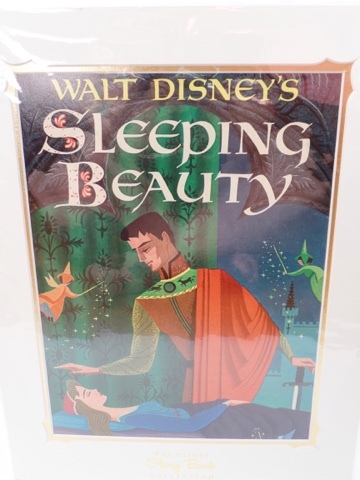 The first item I picked up is this Disney Storybook Collection Sleeping Beauty print. I love the story of Sleeping Beauty but the three good fairies; Flora, Fauna, and Merryweather are my favorite. I really liked how this print looks more like the Classic Disney arts and since the fairies are included in this print I needed it. This is probably my favorite thing I bought at Company D and it is the Cast Member exclusive Alice in Wonderland 65th Anniversary pin. I never thought I was going to own this pin since when I first heard of its release, it was announced that it would only be sold in Walt Disney World, plus it's a pin that only cast members can get their hands on. These pins are more exclusive. Luckily Elizabeth spotted it for me since she knew it was one pin I wanted. This is such a fun pin because of all its whimsical colors and Alice actually spins! I've been realizing more that pins that move are definitely some of the best ones. I had seen this pin on eBay for almost $50 so I am definitely going to treasure it forever. 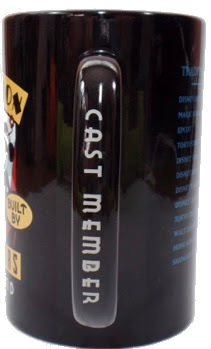 Lastly just before checking out of Company D I came across this Disney Tradition Built By Characters Cast Member mug. 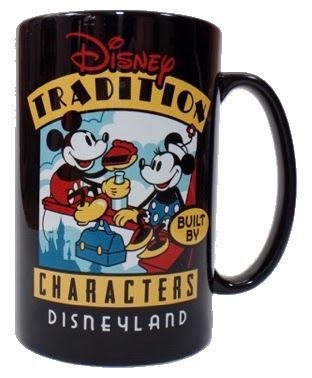 Now clearly I am not a Disney cast member but I just fell in love with the image of classic Mickey and Minnie on the front of it. Elizabeth explained that cast members get this mug once they've completed or during their Disney training if I remember correctly. I didn't see any mugs I really liked at Disneyland and this one was definitely calling to me. I decided to pick it up. The picture of the old school Mickey and Minnie brings back so many good memories of when I was a kid and I would watch all the Mickey Mouse cartoon shows late at night at my grandma's house. Those shows were definitely a favorite of mine and I wish they would air them on tv again. Before we visited Disneyland our first stop was actually to Universal Studios and we spent the day there. It was really nice to back at the Wizarding World of Harry Potter. I didn't do as much shopping this trip compared to our previous Universal trip plus they don't have many things. 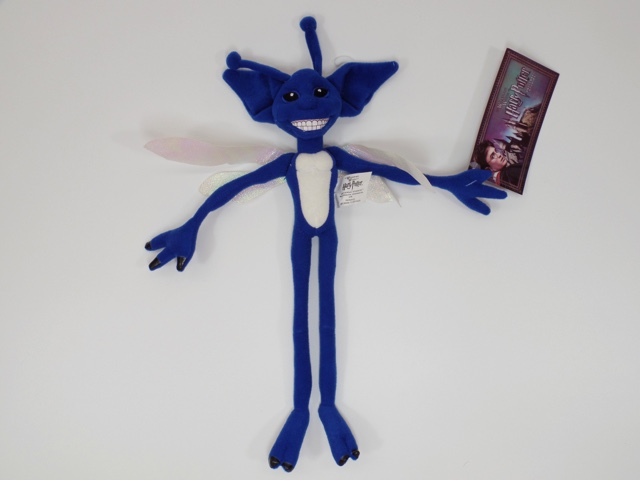 I ended up only purchasing two things and the first item is this creepy but cute, Cornish Pixie plush from Harry Potter of course. Once I saw this I told Rudy it was going to come home with me. When they first appeared in The Chamber of Secrets my favorite part is when they are going crazy attacking everyone then Hermione casts a spell on them then you just see them floating in the air like what just happened haha. I am planning on adding him to my Harry Potter wall and think he will be a fun addiction to the wall. I knew that for this trip I wanted to take home a Harry Potter pin. 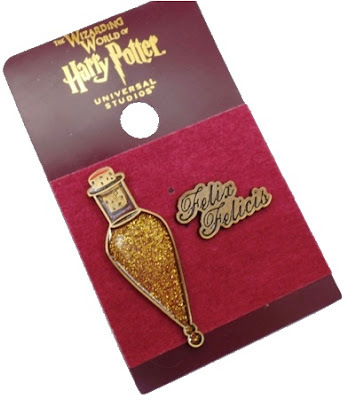 During my previous trip to the Wizarding World I didn't see any good pins and since I have been a lot more into pins the last couple of months I wanted to make sure I at least purchased one as a souvenir. This trip I saw a few pins that I liked and wanted but at the end of the day I decided to purchased just one. This is the Felix Felicia potion pin set. The potion pin was what pretty much sold itself to me. I loved how the bottle has glitter on it and that just makes it extra magical. Felix Felicia is also known as "Liquid Luck" you may remember Harry winning this potion in the Half Blood Prince. I am hoping that when I have this pinned on my denim jacket it can hopefully bring me a bit of luck while wearing it.